April 20th – Annual Vermont season kick-off 100k out Montpelier, VT. This is a nice 65 mile loop though central Vermont with a few dirt roads. Always a fun event with the friendly Vermont crew. Information and registration. 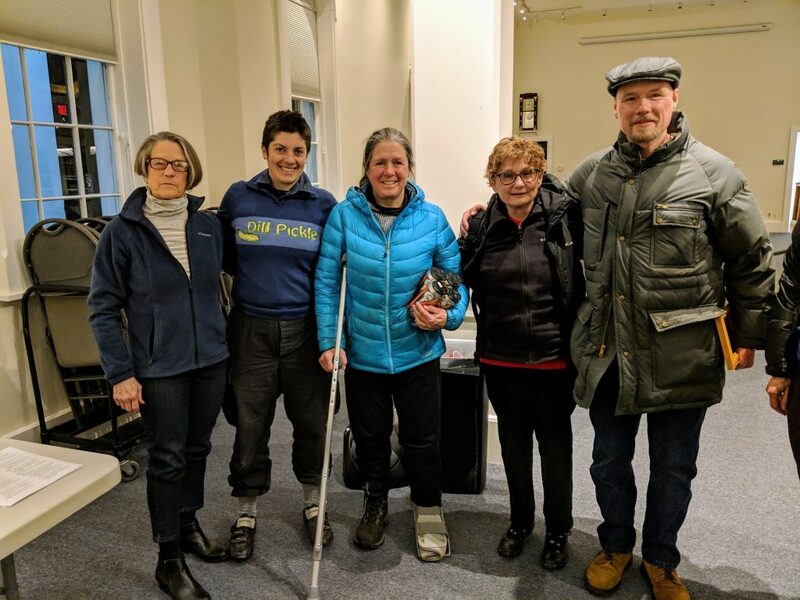 The New England Randonneurs Team weekend (Weekend of May 19) ends in Brattleboro, VT in 2019! We’re also offering a new event: The ACP Trace. The Trace is the Fleche’s little kid brother. Whereas the Fleche is 360km minimum, the Trace is between 200-360km but not longer. On the Fleche you can’t stop for more then 2 hours but on the Trace you can stop for as long as you’d like, sleeping overnight or completing the event quickly or slowly if desired. The Fleche is for teams of 3-5 bikes but the Trace is 2-6. Both events have teams designing their own route to Brattleboro. Both events are very fun — people often say the team events are their favorite Randonneuring activity. Applications are due May 10th. After a delay to make some changes to procedures, NER is pleased to announce riders may register for all events from March to June 28th at this time. Registration for events after the PBP cut off (July 1) will open later in the spring. New for 2019: NER Membership is required for all events. The membership fee has been dropped to only $5! It’s the deal of the decade. This change has been made in response to changes in insurance. Purchase a NER Membership Now! If you do not have a NER Membership by Noon on the Friday before the event, you will not be allowed to register at the start or start the event. Day of event registration will not be available for all events so please register online. Do not wait until the last minute or you risk missing the cut-off time and being unable to start. 2018 Volunteers – FREE Membership & Season Pass! If you helped us in 2018, THANK YOU. Please Register for your free Membership & Season Pass. Please considering volunteering and help us again in 2019 — it’s the only way we’re able to run events. Happy 10th Birthday New England Randonneurs! NER was founded in February 2009 with the formal incorporation the Boston Brevet Series which had been run since the 1980s. Thank you to our Presidents over the years: Founder Tracey Ingle, Bruce Ingle, Dan Greene, and Jake Kassen. On Wednesday, Feb 27th Charles River Wheelers (CRW) is hosted a Paris-Brest-Paris discussion with presentations from NER Riders. Thanks to CRW for hosting and everyone who came out!